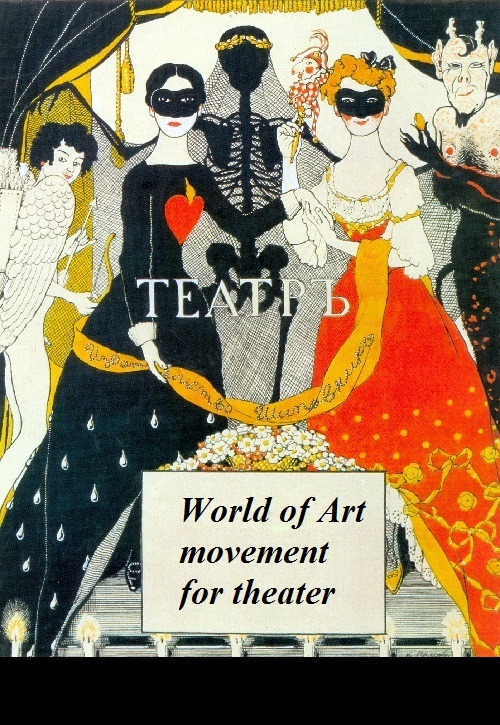 The World of Art group played a preeminent role in the twentieth century stage design, whose significance transcends national boundaries. 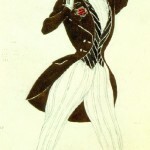 Indeed, it is of stature. 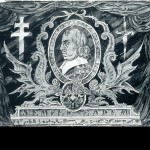 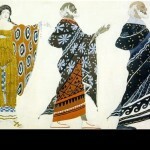 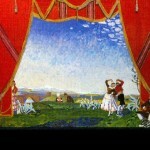 Implied is not only the extensive acknowledgment throughout Europe of Russian stage designers, but also their direct impact upon scene-painting the world over. 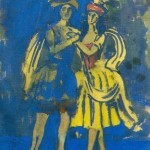 However, it should be emphasized that the World of Art movement artists did not initiate those changes that were to be observed in stage design in the first quarter of the twentieth century. 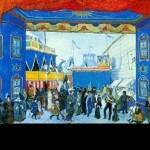 They merely continued the innovations introduced much earlier by the Abramtsevo Colony and the Mamontovo Private opera founded in 1885. 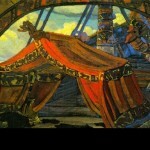 By that year Russian stage design, which had once flourished, had become degraded to the point where it had largely lost its links with everything progressive in contemporary national art. 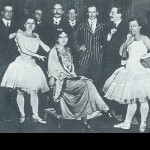 No longer did notable artists, but “professionals”, mostly of journeyman caliber, rule the roost, plunging this field into a stereotype hardly witnessed in any other domain of the visual arts. 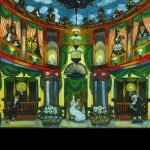 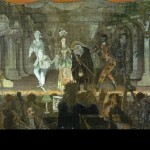 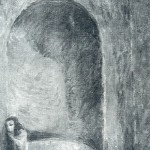 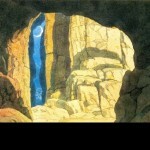 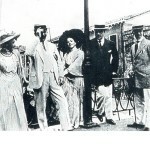 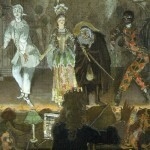 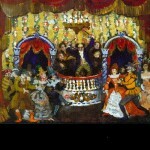 As a result, the stage designer’s role was reduced merely to the creation of a cliche-ridden backdrop, either conventional or narrative, and the same sets were often used for the most varied productions. 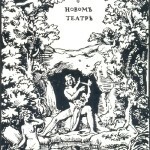 Mamontov’s private company did away with this practice. 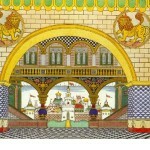 Eminent painters again turned to design decoration. 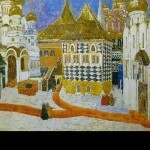 At first these were the Wanderers, Victor Vasnetsov and Vasily Polenov, later – the juniors, Mikhail Vrubel and Konstantin Korovin. 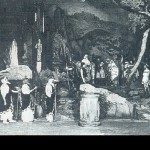 Enhancing the role of stage designer, they maintained a firm conviction in the essential role of the sets and costumes in the entire theatrical production. 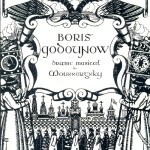 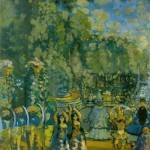 Further, by ousting the “narrativeness” of standard settings, Vrubel, Konstantin Korovin and, later, Golovin, created an atmosphere of poeticized “theatrical reality”. 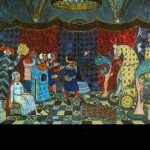 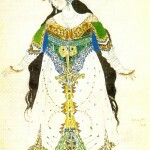 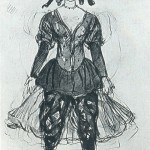 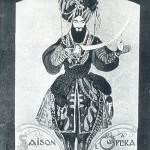 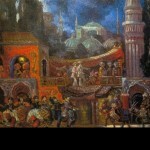 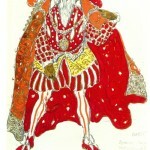 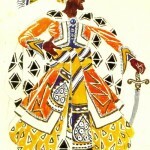 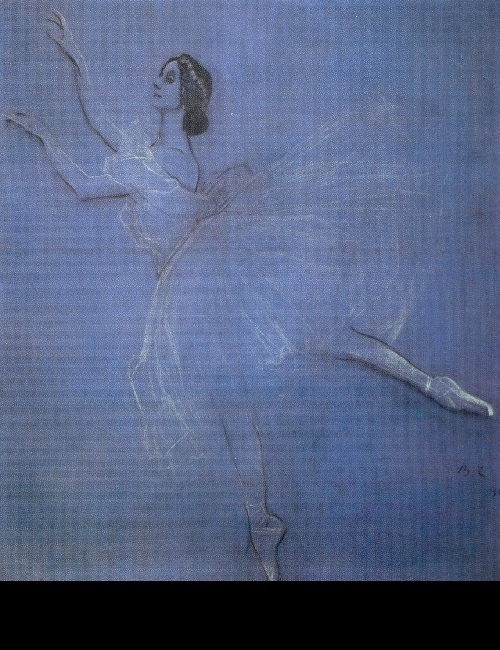 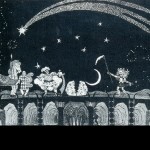 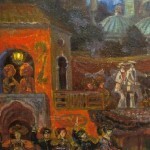 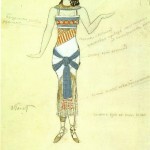 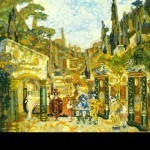 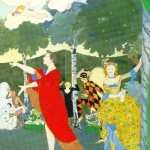 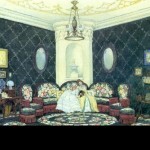 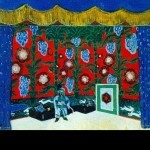 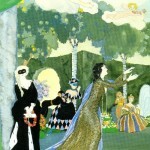 Some World of Arts members had already undertaken stage design after such memorable productions as Rimsky-Korsakov’s opera The Tale of Tsar Saltan (1900, stage set by Vrubel) and The Maid of Pskov (1901, with decor by Golovin) and the ballet, The Little Humpbacked Horse (1901, with decor by Konstantin Korovin). 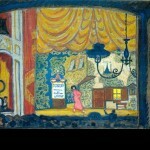 So, a new chapter in Russian stage design had began. 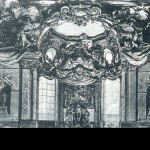 Despite the artists’ remarkable individuality, their stage designs all display one definite style, a style reflecting the basic aesthetic principles common to the entire World of Art group. 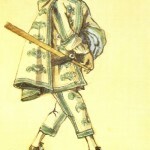 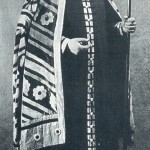 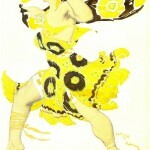 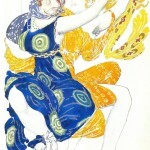 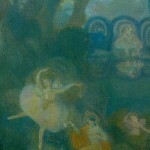 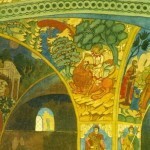 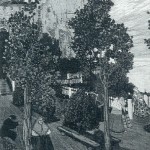 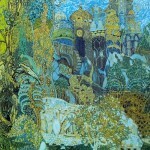 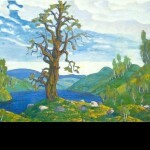 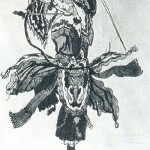 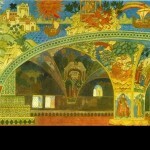 Though Bakst was unlike Dobuzhinsky, and while Roerich would appear to have little in common with either Sudelkin or Golovin, they all shared a common understanding of their task, which could be defined, on the one hand, as the attainment of an organic artistic unity of all the components of the production, and on the other, as the creation of a strikingly magnificent spectacle, capable of transporting the viewer into the unreal, romanticized world of a theater totally at variance with the commonplace of everyday life.